Zack Pace settles into the dugout at Arnold Field, where he'll spend 2018 managing the Sonoma Stompers. 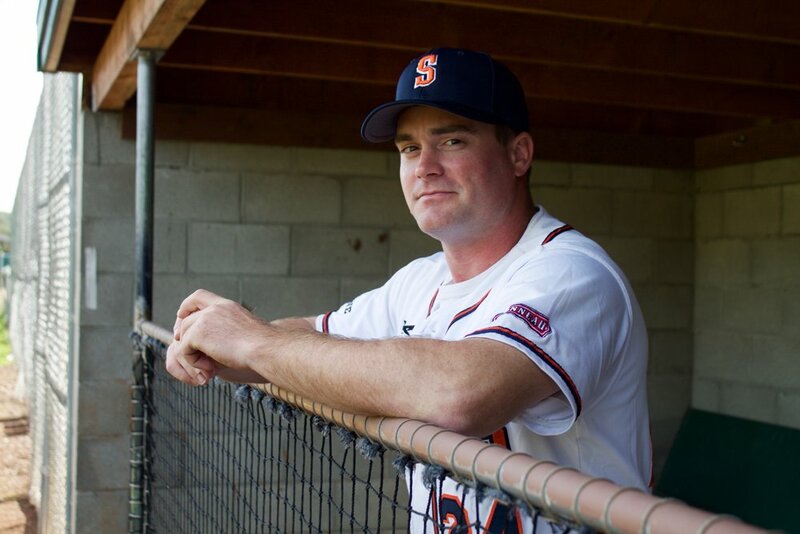 SONOMA, Calif.– The Sonoma Stompers Professional Baseball Club is proud to announce Zack Pace as the team’s new field manager. Pace, a Sonoma State alumnus and Bay Area native, brings 11 seasons of independent baseball experience to his new role. "I love the grind," Pace said. "You have to go out there every day and give it your best shot and try to get better that day." After playing in independent leagues all over the Midwest, including one that played all 96 games on the road, Pace returned to Northern California in 2012 and became one of the first players signed to the San Rafael Pacifics. Now, his focus is on the Stompers organization. Pace is no stranger to championships. He won three Pacific Association Championships with the Pacifics, hitting .321 in 74 games en route to their 2014 title. Before that, his high school team won the North Coast Section CIF Championships in 2002 and got to dogpile at the Oakland Coliseum. “I know the competitive edge he brings to the Stompers, and that will take us a long way. His positive mentality and eager work ethic consistently impress me,” Creamer said. After retiring in 2016, Pace began coaching at his alma mater under legendary head coach John Goelz. His love of the game is what drives Pace, and informs his coaching philosophies. He cherishes the relationships he’s built over the course of his career, and says being part of a team means "attacking the everyday struggles in life–facing other teams, in a sense–with your family." "I want to be a class-act team and do things the right way. Not everything is going to go exactly how we want, but let's create a positive atmosphere," Pace said. Former manager Takashi Miyoshi left the Stompers to coach in the Minnesota Twins organization. The Stompers begin the 2018 season in Martinez on May 31. A league-wide open tryout will be held in San Rafael on April 21.